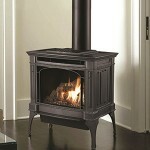 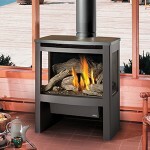 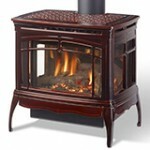 Most freestanding gas stoves purchased today are cast iron. 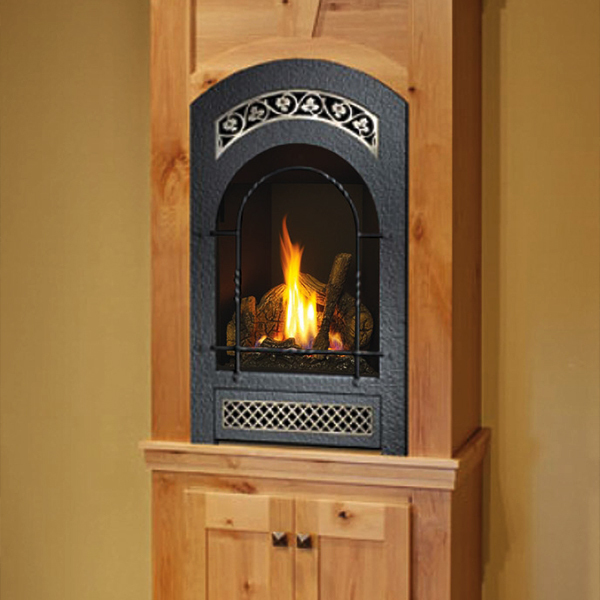 Offering the stylish design of fine furniture, many are available in a variety of finishes to accent any home. 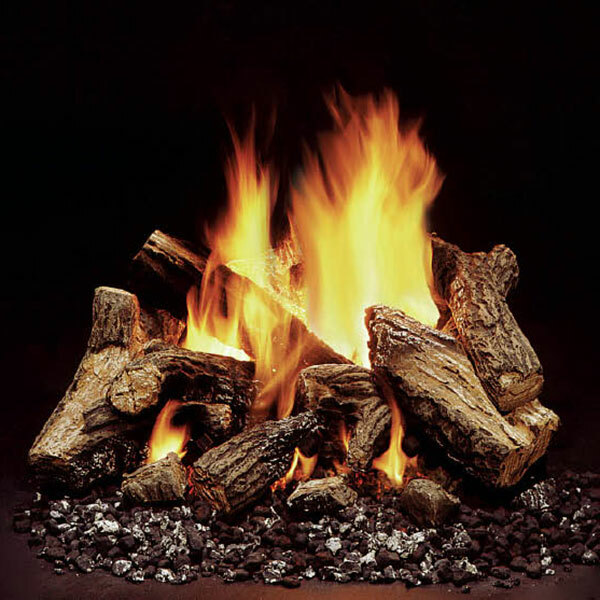 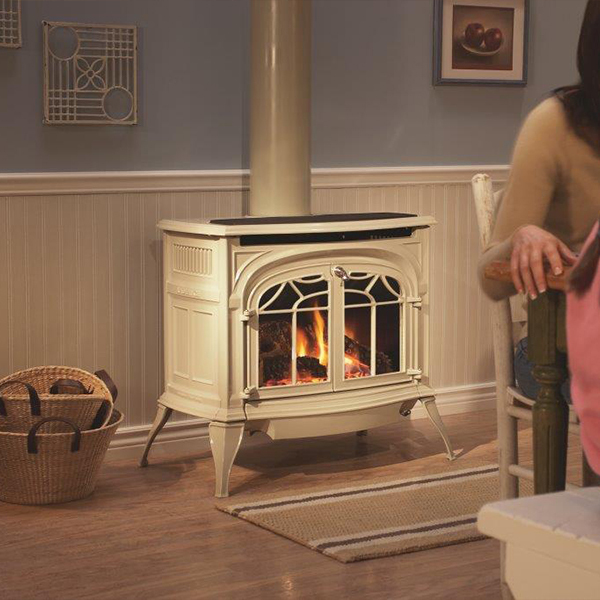 With heat outputs ranging from 14,000 to 40,000 BTU’s, these high efficiency appliances are capable of heating large areas and offer realistic fires rivaling that of actual wood stoves. 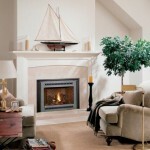 Most units are direct vent, piping out through an outside wall so a chimney is not needed. 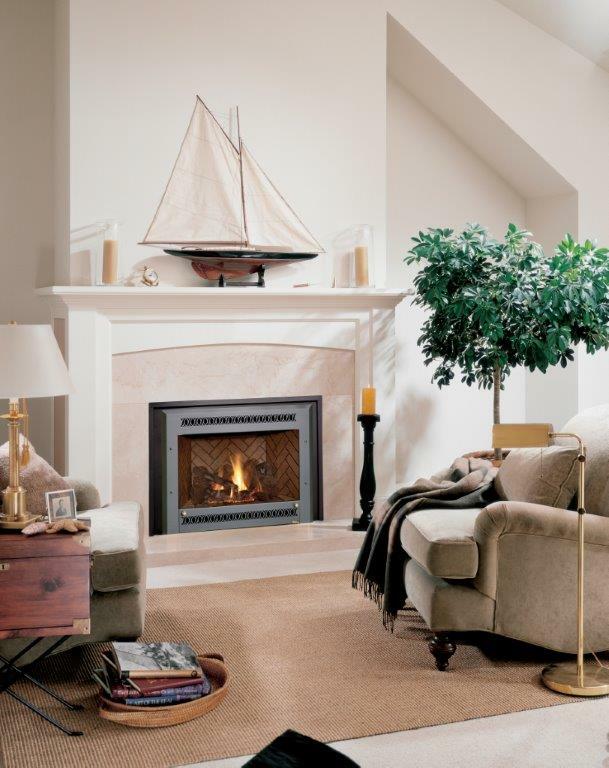 Existing chimneys can be utilized, with a flexible liner installed and combustion air drawn from the outside, preventing the loss of heated room air to the outside. 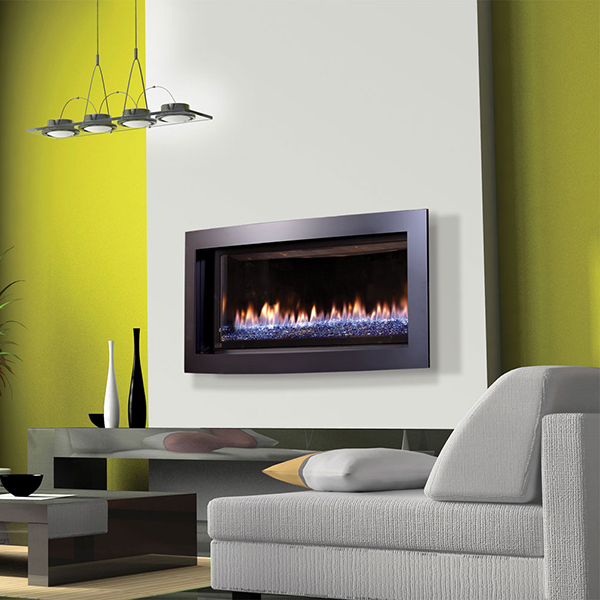 Optional thermostatic remote controls and blowers help provide even heating throughout the home. 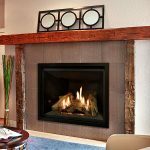 40,000 BTUs Heats up to 1,900 sq ft. 31,000 BTUs Heats up to 1,500 sq ft.
40,000 BTUs Heats up to 2,000 sq ft. 37,000 BTUs Heats up to 1,800 sq ft.
38,000 BTUs Heats up to 1,800 sq ft. 34,000 BTUs Heats up to 1,400 sq ft.
Gas inserts have become extremely popular options for people who are looking to get heat from their existing fireplace but no longer want to burn wood. 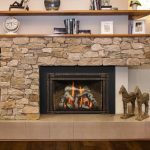 These appliances are basically smaller versions of direct vent fireplaces, high efficiency units with a fan to push the heat out into the room and optional thermostatic control. 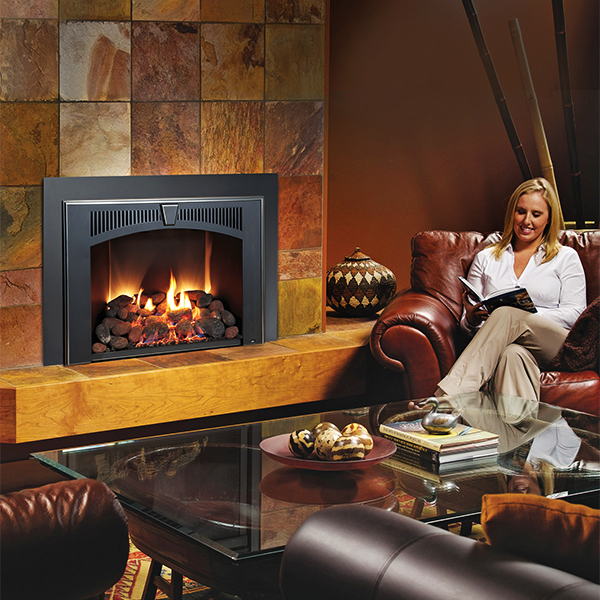 Surround panels close off the opening around the insert for a finished look. 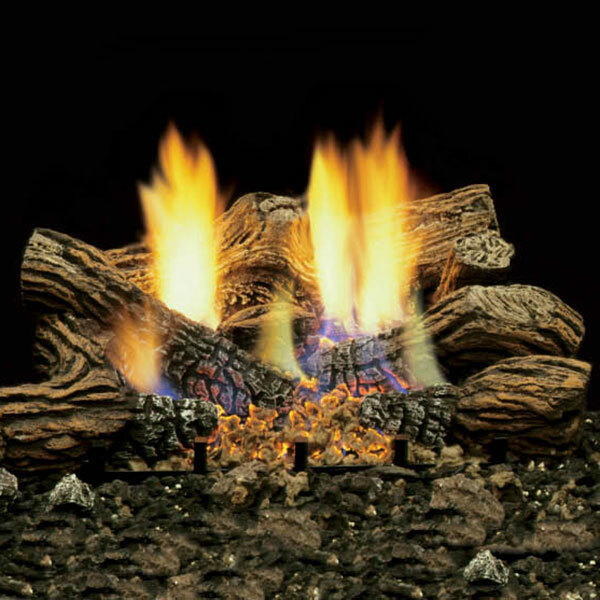 They exhaust to outside through a liner in the chimney and also bring in combustion air from outside through a second liner. 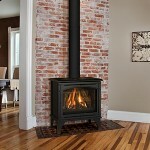 Most models range from 30 to 40,000 BTU’s, providing enough heat for most homes. 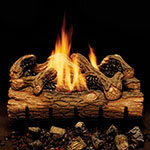 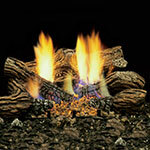 Design options include decorative fronts and glass beads or stones in place of traditional logs. 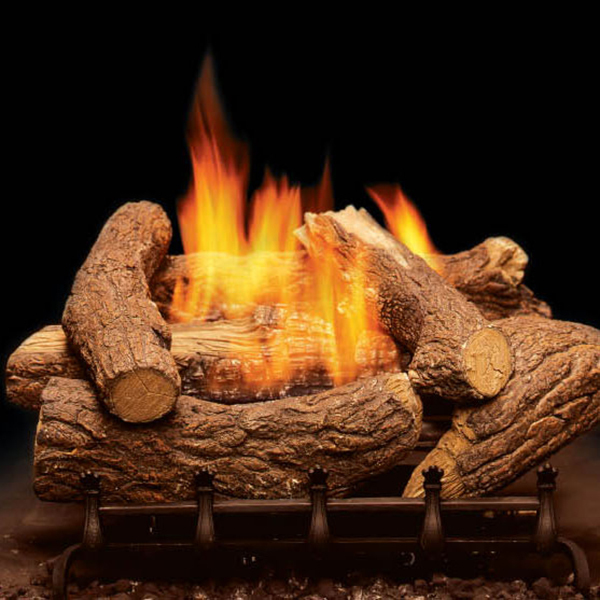 30,000 BTUs Heats up to 1,200 sq ft. 39,870 BTUs Heats up to 2,000 sq ft.
40,000 BTUs Heats up to 2,000 sq ft. 34,000 BTUs Heats up to 1,500 sq ft.
34,000 BTUs Heats up to 1,500 sq ft. 30,000 BTUs Heats up to 1,400 sq ft.
Gas fireplaces today are typically high efficiency units that offer consumers a major heat source as well as a beautiful look. 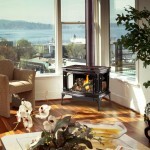 Most popular are direct vent units that not only exhaust to the outside but also use outside air for combustion. 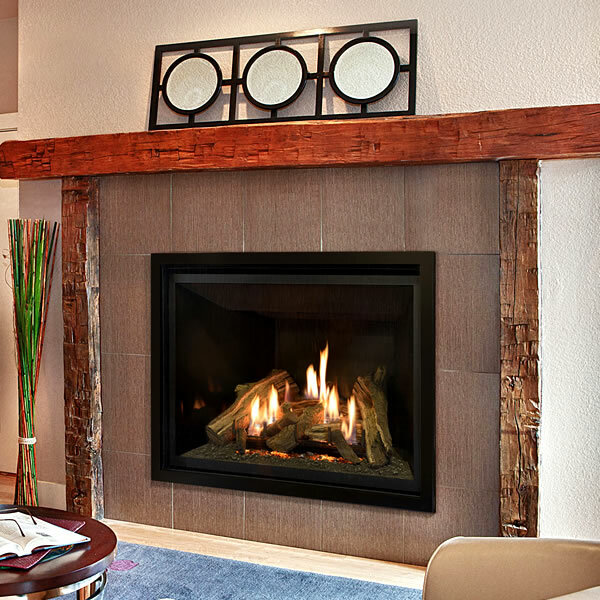 Needing only a side wall termination instead of going all the way above the roof, direct vent gas fireplaces can be installed in almost any location. 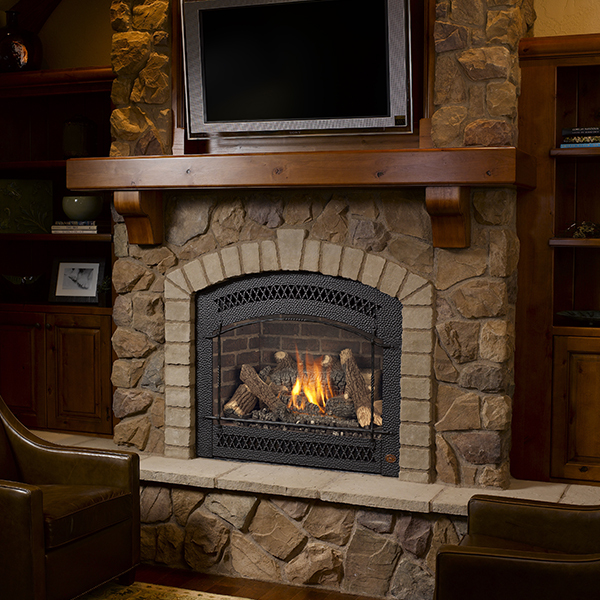 Optional decorative fronts allow homeowners the ability to customize a designer look to fit any décor. Intermittent pilot ignition appliances also eliminate the need for a standing pilot and allow for remote control adjustment of the flame and the fan. 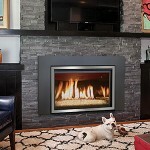 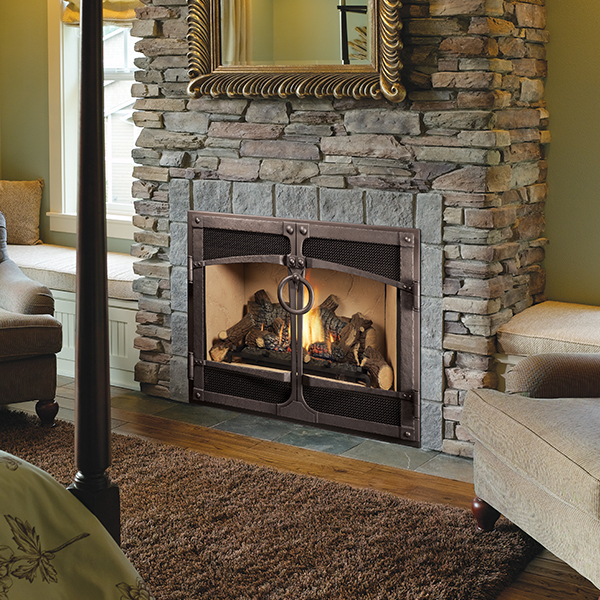 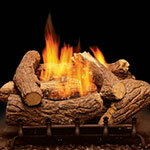 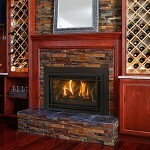 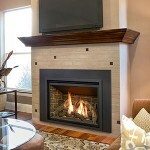 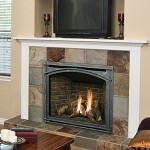 Vent free fireplaces are also available in applications where use will be limited. 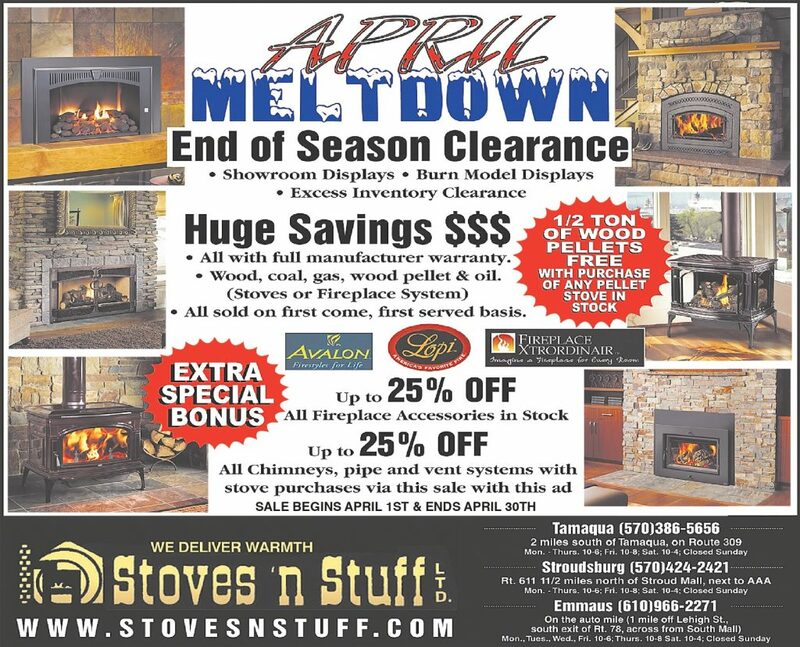 35,000 BTUs Heats up to 1,400 sq ft. 27,000 BTUs Heats up to 1,400 sq ft.
16,500 BTUs Heats up to 650 sq ft. 42,000 BTUs Heats up to 1,800 sq ft.
47,000 BTUs Heats up to 2,400 sq ft. 45,000 BTUs Heats up to 2,200 sq ft.